Add style and comfort to any space with the Niagara complete futon in a box. The futon includes black metal mechanisms and 6 inch pocket coil mattress to minimize motion transfer. With tufting details and a soft flare black microfiber fabric, the Niagara futon adds coziness and charm to any space. The futon easily converts from a sofa to a full-sized bed in seconds allowing you to maximize the space in your home. The Niagara futon features beautiful curved arms finished in dark black. Pair it with some of your preferred blankets and decorative pillows for a lively look and style. 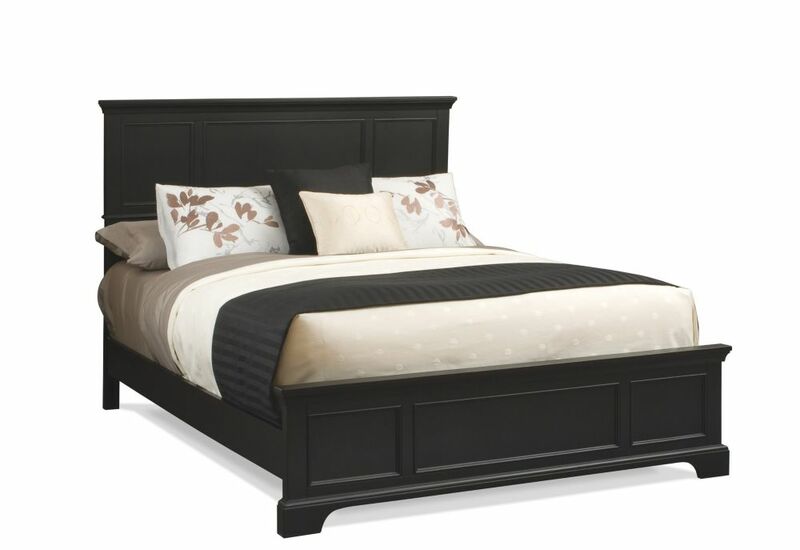 Bedford Black Queen Bed is rated 4.2 out of 5 by 6. Rated 5 out of 5 by John from Solid bed. I set it up at my cottage last month. Note: It requires a box spring (couldn't tell that from the pictures). It's a solid, good-looking bed. I'd buy this again for one of my other bedrooms. Rated 5 out of 5 by Anonymous from Bedford Black Queen Bed Frame Easy assembly, great quality, no tools needed. Only thing is you need two people to put it together because you have to hold pieces in place for a few minutes but it's very easy. Looks great! Rated 4 out of 5 by HDCust101 from Solid bed frame at reasonable price. The bed looks nice in our spare room and was not difficult to assemble. Good value and overall pleased with this purchase. Rated 2 out of 5 by Pops from You Can Find Much Better Quality........ You can find much better quality somewhere else. I can honestly say that I was disappointed in the quality and craftsmanship of this bed. There simply isn't any! It looks and feels like an assembly line item; processed down and out, as fast as the guy pushing the button at his work station can push the button at his work station. Will it work; yes. Will it last; I give it at most 4 years of heavy use. Compared to the quality of my last bed (16 years); this will not be a favorable purchase. I suggest that you take some time and shop around. Rated 4 out of 5 by Tajikboy from Good bed, easy to set up Bed was easy to set up, was little concerned at first that it will fall a part, but it didn't. My mom, sister and I slept on it and doesn't squeak.